I have a new obsession: La Croix bubbly water. I saw it at Target a few weeks ago and have been buying it every week since. I have been meaning to make something with spaghetti squash for a while now. I don’t know why I’ve been sleeping on it! I think this Baked “Spaghetti” recipe from Make It Naked is the thing that will finally motivate me. The Anthropology of Walking…and how it effects how humans move in a modern world. Pizza is…Gangsta Bread. This and other Tom Haverford gems over on TomHaverfoods.com. 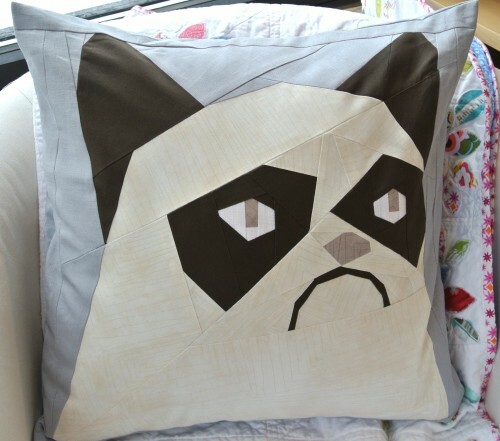 I can’t even deal with this Grumpy Cat Pillow Pattern over on Craftsy. How cute/ugly, right?! Want to feel inspired? This amazing woman went to the gym for 100 days and made a timelapse video. This is why I love the internet.